In the majority of the 3,000 train accidents that occur in the United States each year, property damage, injuries or deaths are likely outcomes, given the high rate of speed at which most trains travel. Brian Logan wrote in a story for the Guardian that he was riding “the midnight train to Georgia” – the title of a 1973 pop hit by Gladys Knight and the Pips – in September of 1993, leaving New Orleans and headed to Savannah aboard an Amtrak’s Sunset Limited. The Scotland native never made it to Georgia on that passenger train, and he has yet to see Savannah, more than 20 years after the terrible incident that left almost 50 people dead and many more severely injured. Somewhere in the bayous of Alabama, after a towboat had pushed a barge into a rail bridge in the dense late-night fog, the train derailed, sending the train cars toppling into mud and water where the bridge had once been, spilling fuel and causing an eruption of fire. Several factors, including safety features on the tracks that weren’t in place at the time of the accident as well as human error on the part of the towboat operator, contributed to the crash. Forty-seven people died, some by drowning, others by fire, in what remains the deadliest train crash in Amtrak history. Miraculously, 70 people were physically uninjured in the incident, although survivors waited hours for ambulance crews to arrive on the scene, and the mental anguish of the incident will be unforgettable for many of them. Logan – who won a settlement from Amtrak after the crash – now remembers the event in bits and pieces, and recalls finding himself suddenly roused from sleep and submerged in water, then helping to guide other survivors to shore. What Causes Most Train Crashes? Who Is Liable in a Train Crash? According to the Federal Railroad Administration, on average, more than 3,000 train accidents – approximately one every two hours – occur in the United States each year. In 2000, there were a reported 1484 train accidents in Illinois. While there are a variety of different trains on the rails – passenger trains, freight trains and scenic trains among them – and accidents are common, fatalities are rare. Still, trains can derail, spilling toxins that require evacuations of neighborhoods in the vicinity of the crash, trains can strike vehicles that are crossing or become stuck on the tracks or most commonly, trains can strike pedestrians who are walking along the tracks. According to statistics, derailments are the leading cause of train crashes in the United States. Between 2001 and 2010, 94 percent of the train accidents that occurred during that decade were due to train derailments. In 2015, an Amtrak train that derailed just after leaving Philadelphia was traveling at speeds of more than 100 miles per hour, more than twice the recommended speed for the curved route. 27-year-old Jillian Jorgensen remembers the sensation of flying as the train left the tracks, catapulting her from her seat. “It was terrifying and awful, and as it was happening it just did not feel like the kind of thing you could walk away from,” she told the Associated Press. Eight people died in the crash and more than 200 were injured as they were tossed about the mangled wreckage of the train cars. The Federal Railroad Administration also attributes train accidents to inadequate protection at railroad crossings, such as lights or crossing bars to prevent vehicles from crossing the tracks when a train is approaching, especially in rural areas. Estimates suggest that as many as 80% of railroad crossings don’t offer adequate safety features, creating a serious hazard for both vehicular and train traffic. 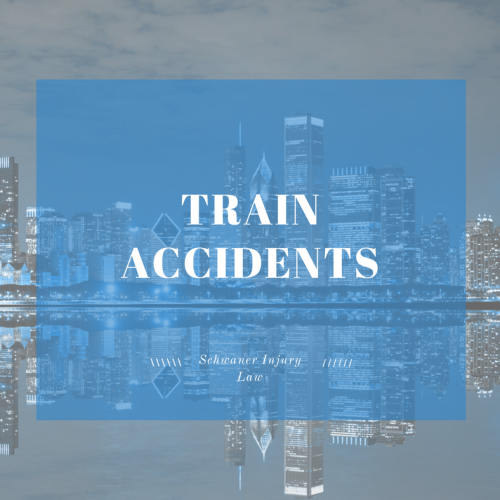 Damage to property, bodily injuries and death are common outcomes in train accidents in both Chicago and Worldwide. In most cases, the injured party will be eligible for some kind of compensation, depending on which party or parties was most at fault. In the case of Brian Logan, who was the subject of countless headlines when he returned to Scotland after the crash, funds from a lawsuit filed on his behalf allowed him to get a degree and secure a career. 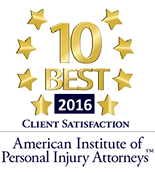 For others, compensation will be required to pay for short-term or long-term health care to recover from injuries sustained in the crash. If you are involved in a train accident, it’s important to contact an attorney to ensure that your rights are protected and you are able to secure compensation that will cover all of your expenses, especially if you sustain injuries that require lifelong care. Possible liability issues can arise not only due to injuries sustained in a derailment, but also damage associated with spills, damage to infrastructure and liability in impact accidents that occur if safety features are not adequately in place. Train companies are legally required to maintain safe stations and crossings that comply with both state and federal laws. Failure to meet certain standards can be seen as negligence, and can open the door to lawsuits in the wake of an accident that can leave victims permanently disabled due to physical injuries ranging from lost limbs to brain injuries. If any of these can be proven by your attorney, the train company could be held liable for expenses, including medical, pain, suffering and lost wages as you recover from the train crash.